“My mind is in a state of constant rebellion. I believe that will always be so,” late George Mallory, an English mountaineer, once said. He died at the early age of 37. He and his climbing partner, Andrew “Sandy” Irvine, disappeared from the Northeast ridge of Mount Everest in 1924 but his fate was unknown till May 1999, when his body was discovered by another expedition. Such is the love for mountains. Although people romanticise their beauty, the journey is sometimes more arduous than climbers would have liked. “You’re not God that you will know what might come next. You calculate the risks and take your chances,” says YS Yadav, a retired Air Commodore in the Indian Air Force. Even at the age of 69, his enthusiasm and endurance for mountaineering is still high. He reminisces the innumerable opportunities for mountaineering that the Indian Air Force gave him. What started as a job to serve the Air Force, became a passion for going on a plethora of expeditions. He retired in 2003 but continues to go on countless expeditions in India and abroad. He’s also part of a Gurgaon-based group, Society for Trekking and Environmental Preservation (STEP). He recalls his days in the Air Force, when he went on some expeditions in India and abroad as a liaison officer. Due to his age, he quit active climbing 15 years ago but he still goes for climbing and trekking. In June this year, he went to Buran Ghati trek in the Pabbar Valley of Himachal Pradesh, where trekkers rappel down a snow wall at 15,000 ft. Now he is planning to go for Pin Parvati trek — a 17,457 ft pass — in September. Explaining the obstacles experienced while climbing a mountain, Yadav says that the weather, the distance and personal endurance come into play. He adds that if one has gone to a high-altitude remote area where there is no habitation, even the locals or forces like ITBP (Indo-Tibetan Border Police) cannot help in case of an evacuation. Since India doesn’t have any rescue organisations for mountaineers, there is little to no chance of being evacuated, if a strenuous situation arises. “I’ve witnessed a few casualties on some expeditions,” says Yadav. He remembers an expedition at Mount Bhagirathi II, when one of the members of the group he was heading fell while climbing a peak. It took them three days to reach the base camp, and the person went into coma. The Air Force had sent a helicopter to evacuate the group, but the person lost his life on the way. Recalling his most difficult expedition, he says, “It was in 1978 at Mount Kedar Dome. It’s an over 22,000 ft peak in the Garhwal range of the Himalayas.” Adding that it wasn’t very difficult, but since it had many crevasses, one had to be careful while climbing. He says that the adrenaline rush while skiing down from 22,000 ft to 16,000 ft is something which he can still count as a memory to remember his whole life. 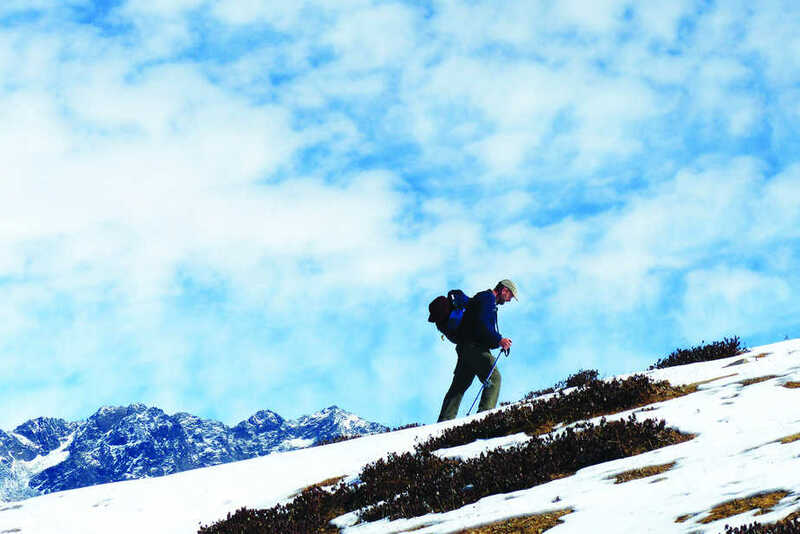 He recalls another expedition in the late 1970s with the Royal Air Force of England to the Chandrabhaga range of mountains in Himachal Pradesh. At dawn, when the blistering rays of sun covered the whole peak, a reflection caught Yadav’s eyes. Much to his surprise, it was pieces of a crashed fighter jet, along with an ejection seat. On another trek to the Kishtwar Valley in Jammu and Kashmir, he found pieces of an aircraft which had crashed in 1948 during the Indo-Pakistan War of 1947. “What one really remembers after an expedition are the problems they faced and the interesting people they met. 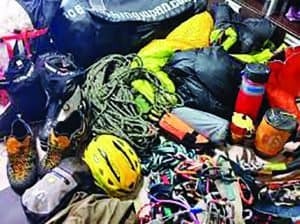 Rest of the things are part of the routine,” says Anand Swaroop, a mountaineer by passion. His passion for mountaineering started with the trekking expeditions he went on during his college days. “Once you go on one or two expeditions, the urge to go on more starts developing and you look for people who can accompany you. The same happened in my case,” says Swaroop, adding that the level of difficulties is quite subjective. According to him, every mountain is different and acts differently. The equipment one carries also plays a role in easing the difficulty levels. For Swaroop, it was Panchachuli peaks, a group of five snow-capped Himalayan peaks in the eastern Kumaon region of Uttarakhand, which he found the hardest of all his expeditions. Due to the harsh weather, the group had no food. After the kerosene they were using to melt the snow ran out, there was no water to drink. A tough decision was to be made — whether to leave or stay and wait for help. The chances of avalanches were high, as it had been snowing continuously for three days. Finally, the group decided to leave despite the fear of dying on the way due to bad weather. “We thought even if we die, it will be better to take a chance. At least there was a fair chance to find a way than staying there,” added Swaroop. As they had feared, an avalanche broke out, leaving the group buried under the snow for a while. Fortunately, none of the members died but they lost most of their equipment. To quench the thirst the group even ate snow. Somehow, the group managed to stand up again and continued walking, their eyes wrapped with pieces of thin cloths to protect against snow blindness. Since the group had some remembrance of the way back to the base camp, they managed to find their route., But in between, a slab avalanche occurred. The crampons under their boots helped them and no one was seriously injured. Talking about the poster boys/girls in India, who have achieved major success after climbing Mount Everest, Swaroop says that intentions and goals are very subjective and they may not be seasonal mountaineers, but they do possess the skills required to achieve their personal goals. Swaroop hopes that people do not over indulge in self-promotion and follow their dreams by continuing to go on expeditions.